Happy May! Yes I'm going to be say that old cliche line.. can you believe how fast this year is going?! I've been so busy lately and unfortunately my little blog is bearing the worst of it. Seriously trying to maintain a blog whilst working full time is bloomin' hard (hats off to the bloggers who work and blog full time). 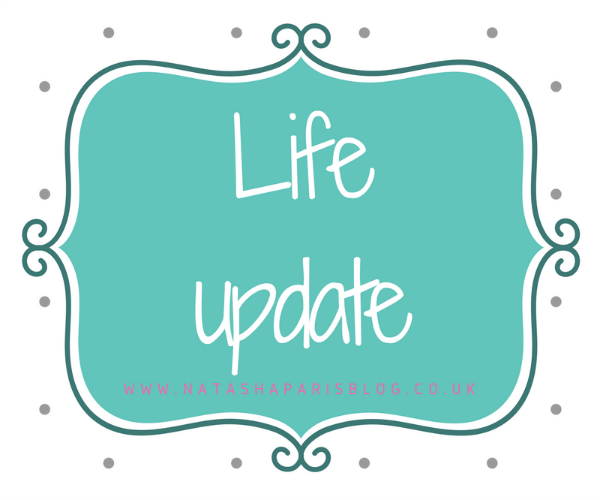 It's Thursday evening now and I've found a little bit of time to sit down and write a little life update post. This year I've really started to enjoy going walking. I love the peace, scenery and it really does make me feel better. I wrote a post in January about my Weekend Walks. If you fancy reading it looking at pretty scenery photos you can find it here. On a similar topic, in February I went on a mini break to Scotland with my boyfriend (to go walking.. on Valentine's Day... who even am I?). I didn't have WiFi or phone signal for a couple of days and surprisingly I didn't really mind (although I'm glad it was only a temporary thing NGL). If you want to read more about my trip you can read my Exploring Scotland post here. In March I headed to Bologna for a city break. I had a lovely weekend exploring, doing the typical tourist thing and eating a little too much (OMG the food was amazing!) You can read all about my weekend in Bologna in this blog post. I also paid a visit to the Fashionable Yorkshire exhibition at Lotherton Hall (after kindly being offered tickets by Leeds Museums). I know that museum exhibitions aren't everyone's cup of tea but I really enjoyed seeing how women's fashion has changed over the centuries. I wrote a post about my visit to the exhibition which you can read here. One of the most exciting things that happened in March was becoming an 'Auntie' to a beautiful baby girl. I'm not usually a baby person but give me all the cuddles! In April I finally got to see Russell Howard, after having bought the tickets well over a year ago! finally got the chance to see him live at the beginning of April. There's no spoilers here but the show was definitely worth the wait! Well I'm currently trying to save, save and save some more towards the deposit for my very first home so my beauty haul posts may be few and far between for a while. I also have a holiday to Cornwall planned for August and I'm pretty excited about it, as I've not visited before. I'd love to hear your tips and reccomendations on what to do during my trip.